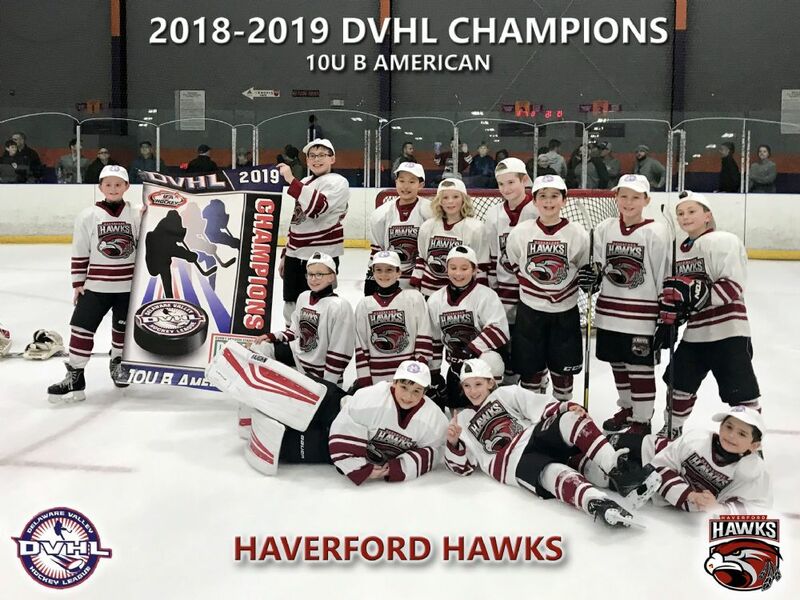 Congratulations to the 10U B American team for earning the 2018-2019 DVHL Championship! With a 3-2 victory in the semi-final against the Grizzlies Blue team, the Hawks took on the Grizzlies White team in the Championship, and came out on top 2-1, to hoist the banner!!!! 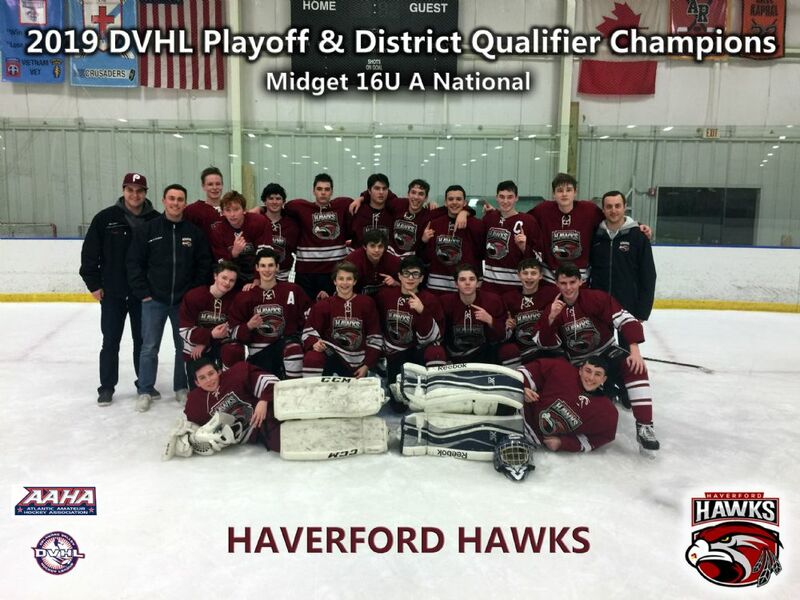 Congratulations to the 16U A National Hawks, for winning the DVHL Playoff & District Qualifier. 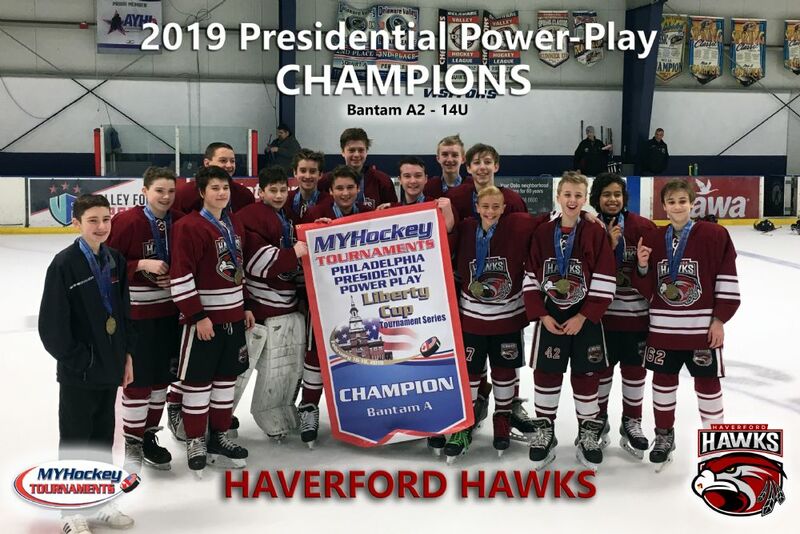 The Hawks first played the Lehigh Valley Phantoms, and came out with a 4-3 OT victory....then took on the Lancaster Firebirds, which they took a 4-1 win. In their final game they beat the Valley Forge Colonials 6-5, scoring with :17 seconds left to seal their opportunity to move onto Districts. 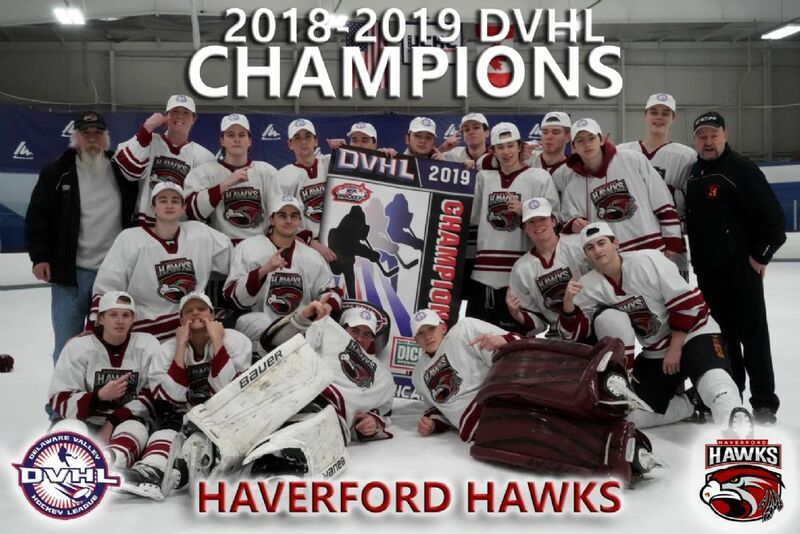 Congratulations to the Hawks 18U A American team on their 2018-2019 DVHL Championship. With a 4-1 Win over Lancaster, the Hawks got sent to the final game, where they beat Hershey 5-1 to claim the Title! 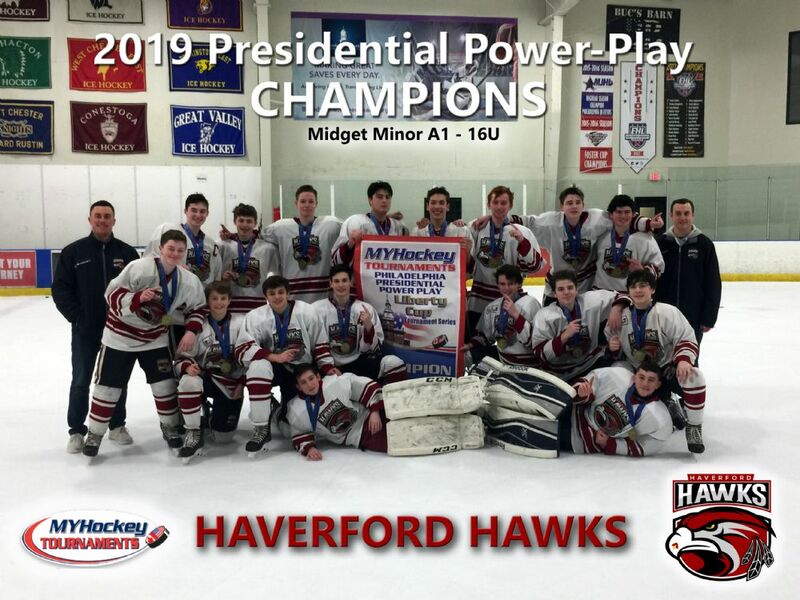 The Hawks 14U A American team played in the Presidents Weekend MyHockey PowerPlay tournament.....they opened up with a 3-3 tie against Team Philly, then had back to back round-robin wins against the Tri-City Eagles (4-2) & Delco Phantoms (4-3)....which put them in the Championship Game. They met Team Philly again, and came out with a 6-3 win. 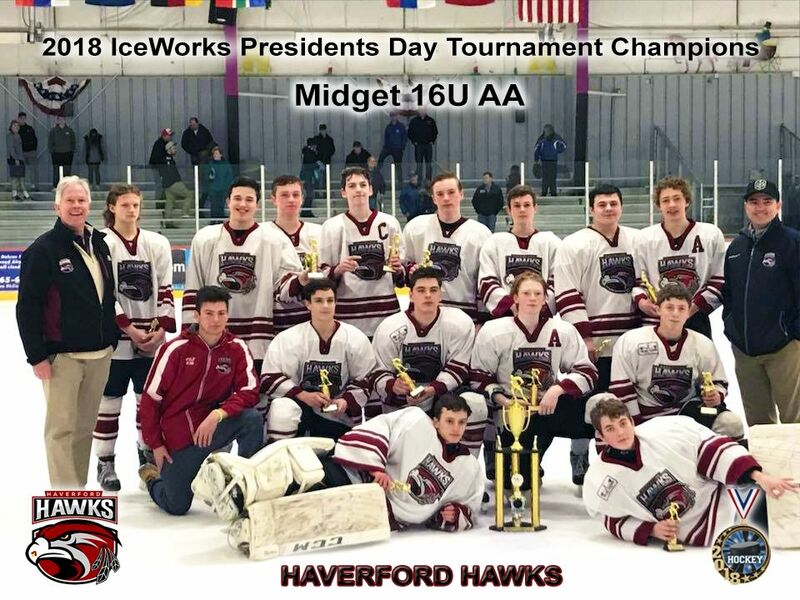 16U National stayed in Philly for Presidents Weekend, and played in the MyHockey Tournament. With a 3-2 win vs the NY Skyliners, 7-1 victory over the Dix Hills Hawks & a 4-4 tie with Team Philly....they headed to the final against the Skyliners. A 2-1 victory for the Hawks in the Finals! 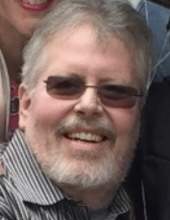 John F. Gavin, age 54, of Drexel Hill, PA, passed away on October 21, 2018. Born in Philadelphia, PA in 1964, he was the beloved son of Elaine (nee Quinn) Murphy and the late Robert A. Murphy and John J. Gavin; doting husband of Cara (nee Gerace) Gavin; devoted father of John Ryan, Jordan, Justin, Julian, and his ‘best buddy’ Teddy; loving brother of Tish Jackaman (Steve); dear uncle of Michael and Katie. John was a graduate of Msgr. Bonner High School and St. Joseph’s University. He worked at Siemens Medical Systems and was ranked as a top salesman nationally. 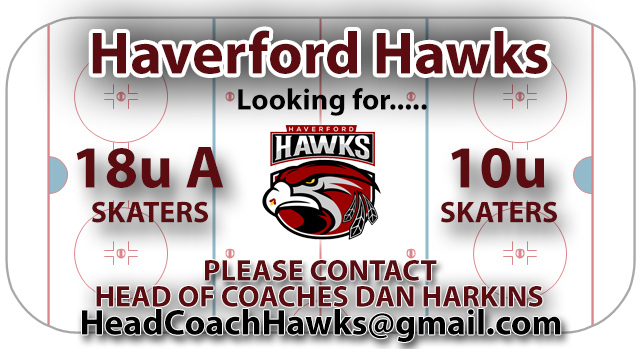 John was a coach for over 30 years of women’s softball, St. Bernadette’s CYO sports, and Drexel Hill Little League, and also served as the Vice President of the Haverford Hawks Hockey Club and President of St. Bernadette’s CYO. John loved sports and collected memorabilia. He was known as one of the best bartenders in Delaware County. John was a friend to all he met and will be missed dearly. 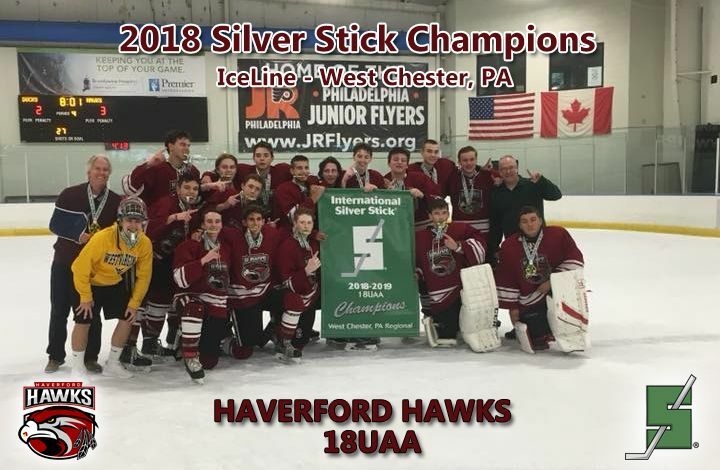 Congratulations to 18UAA on winning the 2018 International Silver Sticks Regional at IceLine in West Chester PA! 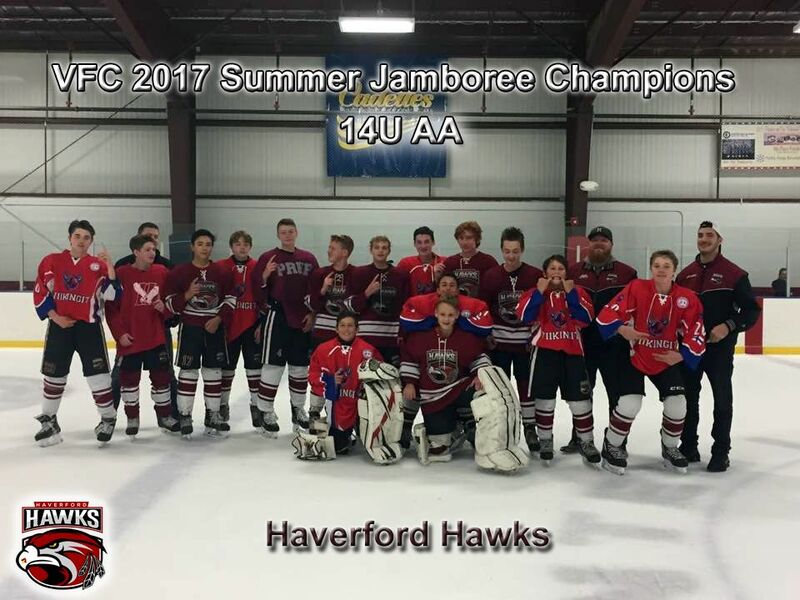 After going 2-1 in the round-robin, the #3 seed Hawks took on the Hershey Jr Bears in the semi final....and came out with a 5-1 win. 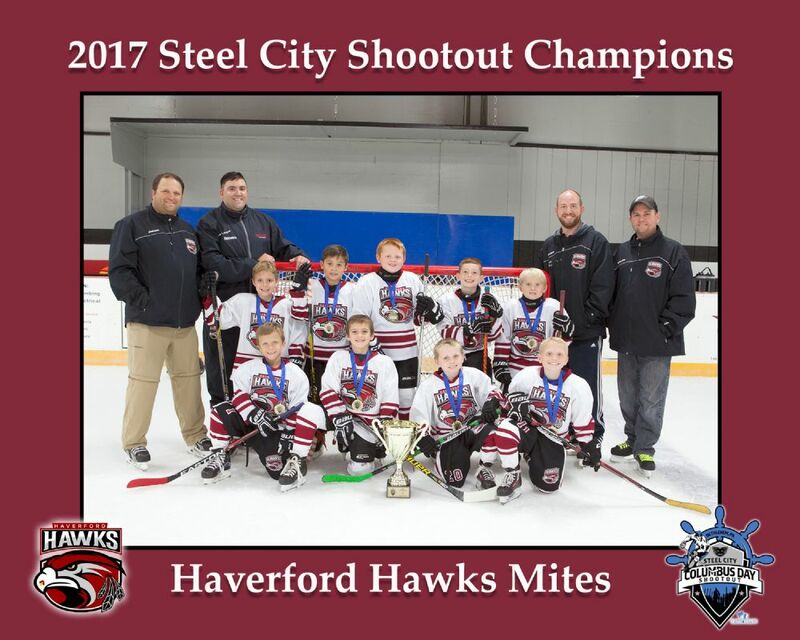 They met Delaware Ducks in the final.....in a well played & hard fought game, the Hawks came out on top 3-2 in OT. It is with a heavy heart, that the Hawks announce the passing of Jerry Nyhus....brother of longtime (25+ Years) Hawks Coach Dale Nyhus. They coached together for many years at Interboro High School. Wishing the Nyhus family best wishes during this difficult time. Solid start to the season! After 2-0-1 in the round robin, the Hawks 18s made it to the finals, and played the Piedmont Predators. In a physical and hardfought final, they came out on top 3-1 for the win. 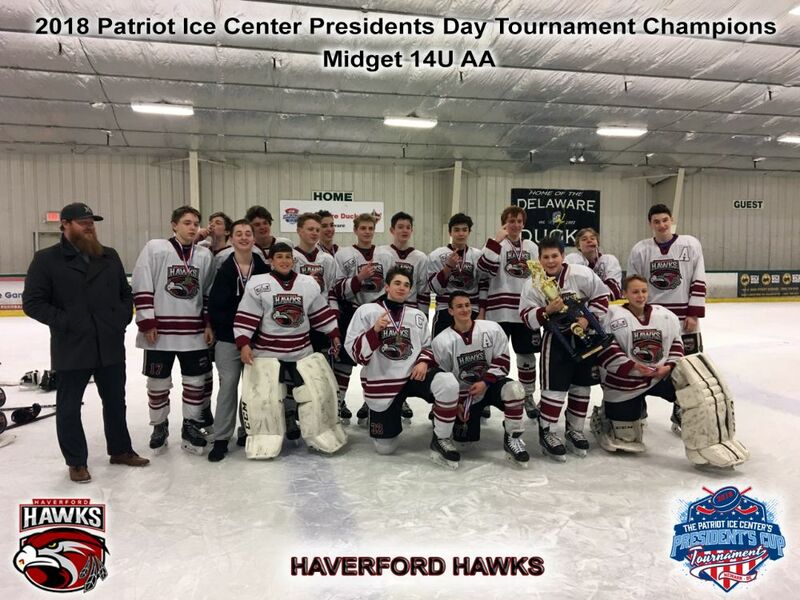 After coming out of the round robin in 2nd place, the Hawks played the Valley Forge Colonials in the semi-final.....and winning 5-0. In the finals, they faced the Hollydell Hurricanes (after losing to them in the round robin), and came out with the finals win, 5-2. Congratulations to 10U A National! 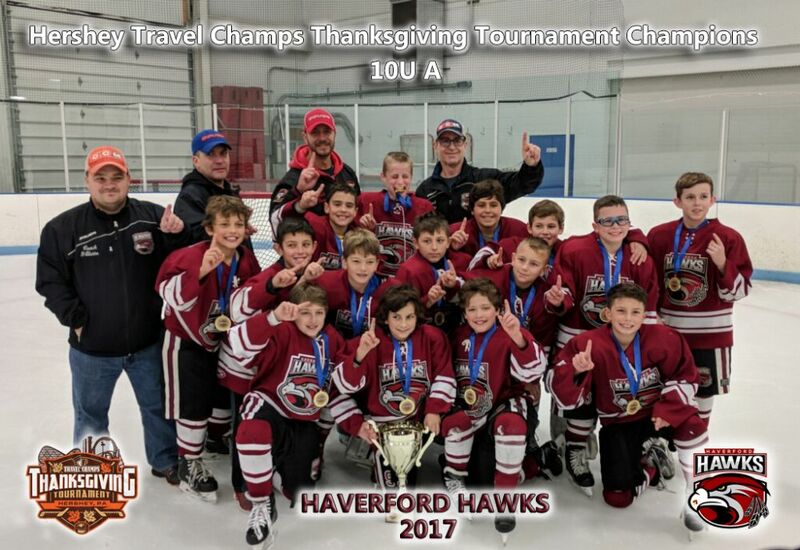 The Haverford Hawks 10U A-National team went 6-0 over the weekend. 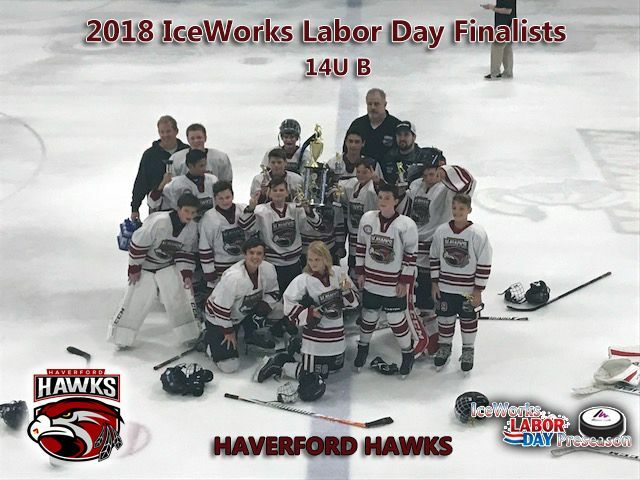 Led by strong goaltending from Vieira and Zeger, along with a solid team effort...... the Hawks defeated bracket teams NJ Freeze, Harford North Stars, PAL Jr Islanders and NYC Cyclones. 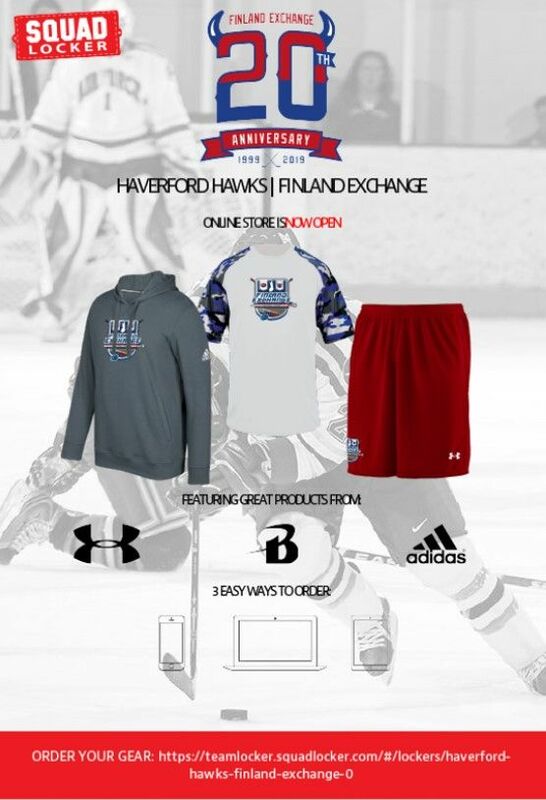 The Hawks earned the 2nd seed and defeated the Long Island Gulls in the semi-final, to advance to the championship game against #1 seeded, Lawrence Flames. The Hawks came out ahead of the Flames 4-0 in the Championship Game. 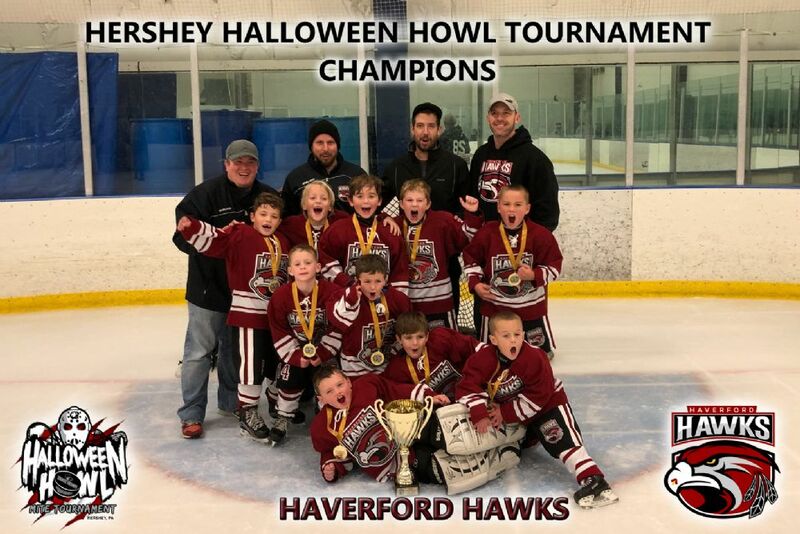 Hershey Halloween Howl Champions, Hawks Mites Gold opened their Halloween weekend tourney friday night with a 23-0 win over the pond Penguins, on Saturday they went on to beat the Long Island Arrows, and the Ac Sharks to earn 2nd seed heading into sundays playoff rounds. They finished off the Long Island Arrows again to advance to the finals. In front of their dominate defense led by Trip Mckelvey, Joey Cianciarulo and goalie Liam Gabe, tournament goal leaders Teddy Curry (17), Owen Sullivan (14) didn't cool off come championship game, both scoring Hat tricks to go on to win a thriller against the Reston Raiders 7-6!! 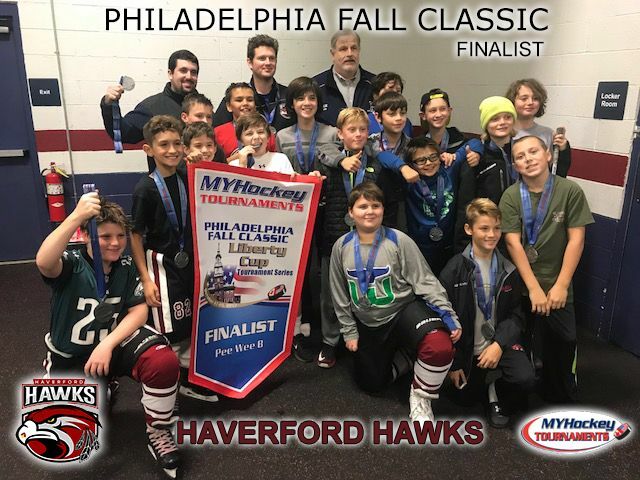 The Haverford Hawks 12UB Team came within a glove save of upsetting the NY Jr. Devil's A team in today's Championship game for the "Philadelphia Fall Classic" tournament at Oaks Centre Ice. 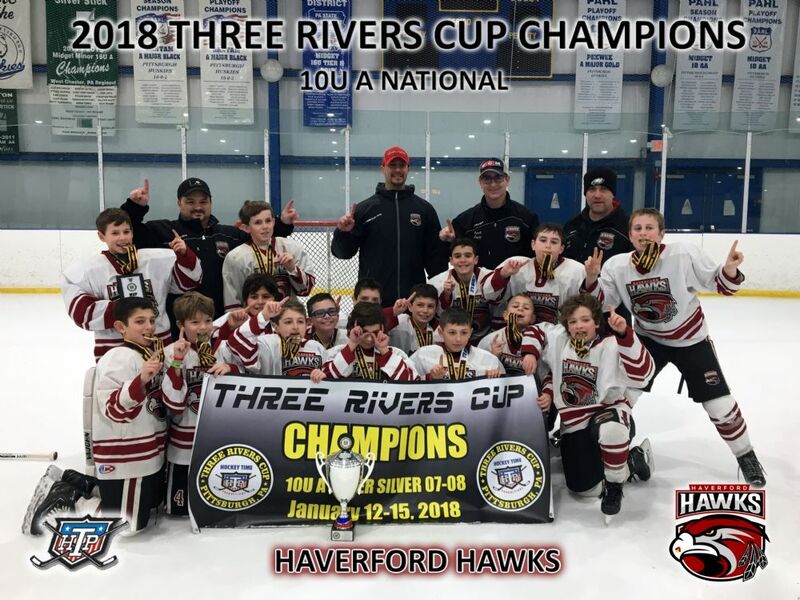 Led by strong goal tending from Christian Mackey and goals by Aydan DiRocco, Connor Lill and Donte Neve, the Hawks B team came within a goal of defeating a Jr. Devils A team who had put up 34 goals for vs 1 against during the tournament (including a 9-1 defeat of the Hawks earlier in the tournament). Congrat's to the team for a tough fought 4-3 loss. 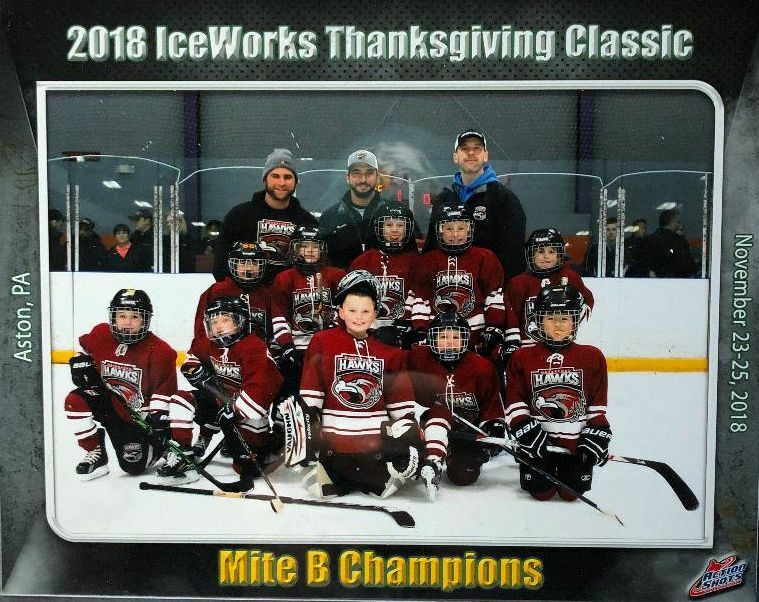 Mite White won the Columbus Day Travel Champs Tournament in Bethlehem PA! 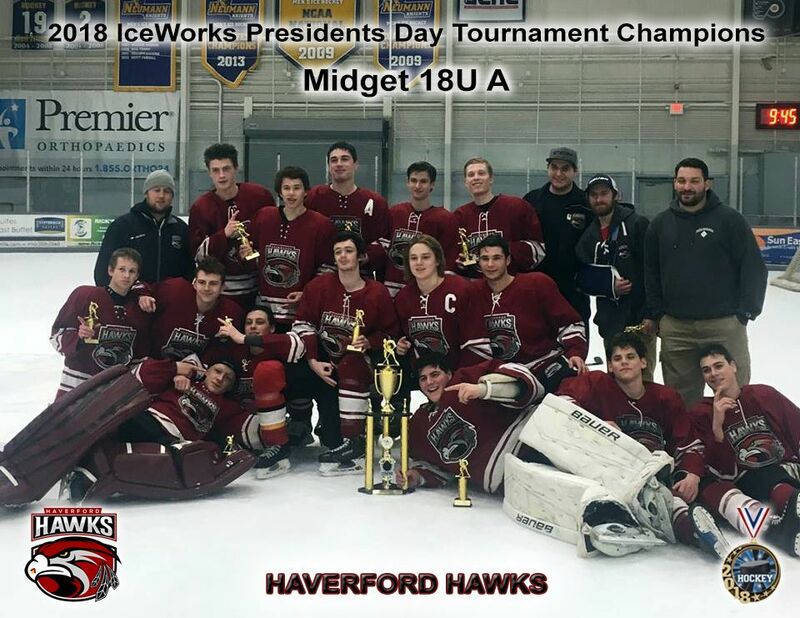 With wins over the Protec Ducks, NJ Rockets & Frederick Freeze....they made it to the finals, and beat the Freeze again for the championship! After beating the VF Colonials 3-2, the Hawks lost a tough game to the Blazers 4-3....then a follow up 4-1 win against the Mt. Laurel Jaguars, put them in the final, where they faced the Blazers again. This time, it was a different game, with a strong/physical set of play from the whole team, the Hawks won 6-2 in the final. 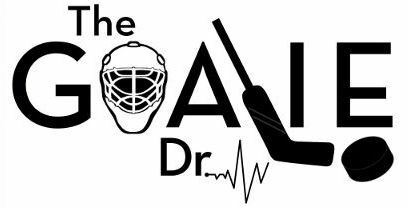 The Hawks are proud to announce that we are now official partners with The Goalie Doctor....Matt Tendler. There will be an official goalie training schedule for all the clubs goalies for 2014-2015. More information to come!